Spoil heaps are usually unavoidable by-products of the effort to reach richer ore layers. Typically, heaps are left to accumulate until the available space runs out or until regulations require the operator to take measures to reduce them. Unfortunately, the material cannot be utilised economically with conventional processes, because the mineral content is far below the acceptable tolerances. Rather, the heaps must be removed with diggers and loaders and disposed of elsewhere. This results in considerable costs for the removal, transport and landfill. 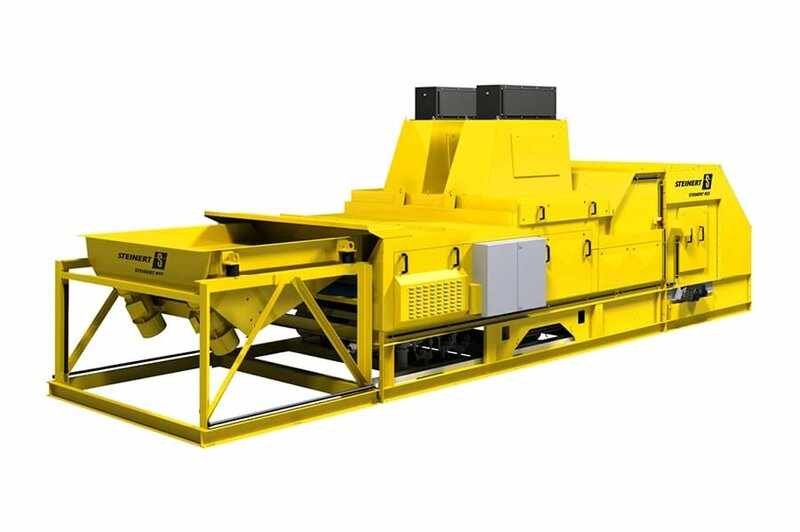 By using effective ore sorting equipment, however, such as our STEINERT XSS T, which uses 'dual energy' x-ray transmission (XRT) to detect differences in atomic densities, this process can be optimised. 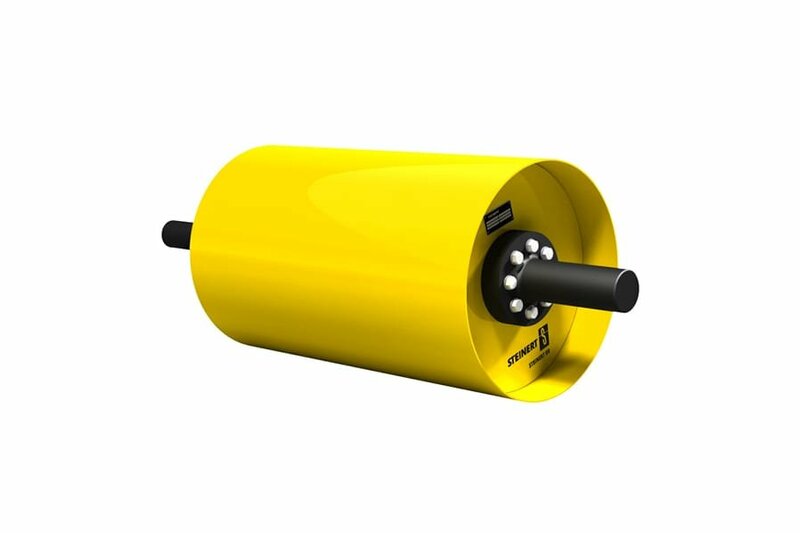 The system detects valuable ore with its x-ray sensor and uses compressed air to remove it from the product stream. 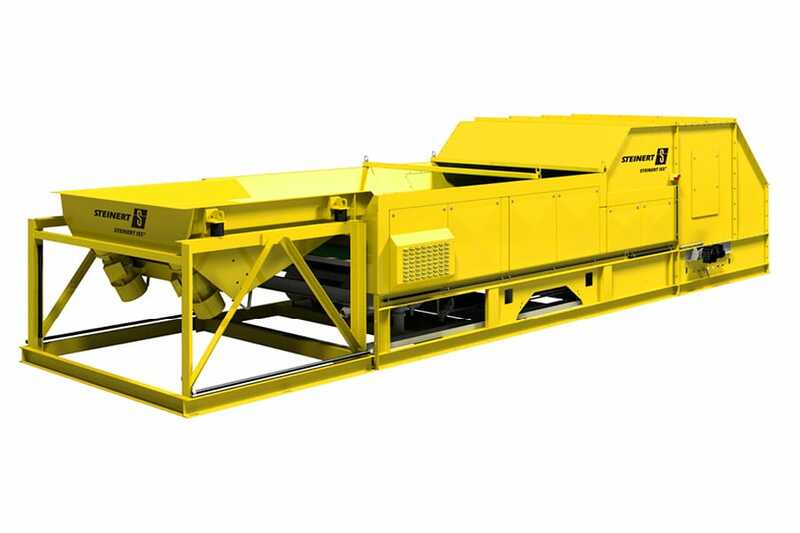 This greatly reduces the proportion of low-value waste rock (gangue). A concentrate of high-quality ore can be further enriched during processing. 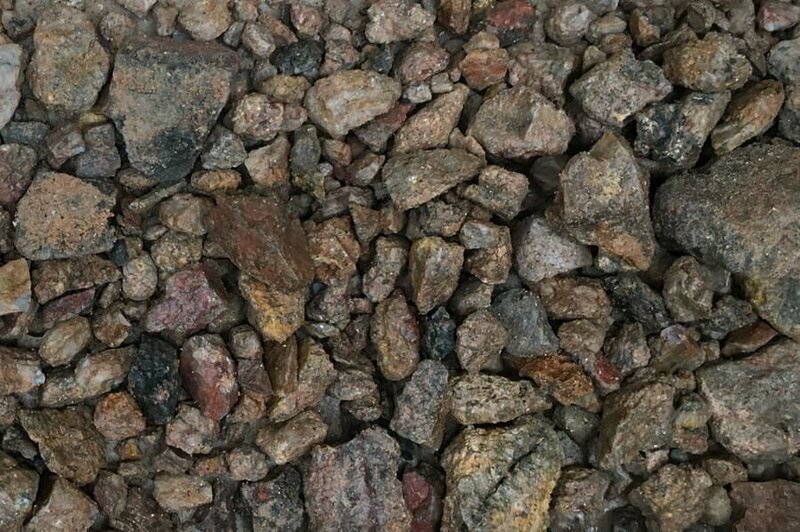 Frequently the mineral content is so high that the product obtained is of the same quality as the crude material obtained directly from the mine. A welcome side-effect is that the waste rock usually has such low mineral content that it can be sold as gravel. You can thus convert material that was written off into an additional income stream while reducing disposal costs. We can provide special sensors and machines for different applications and tasks. Depending on the precise task, we can offer you XRT (x-ray transmission), XRF (x-ray fluorescence), laser, near-infrared, optical or inductance detection. 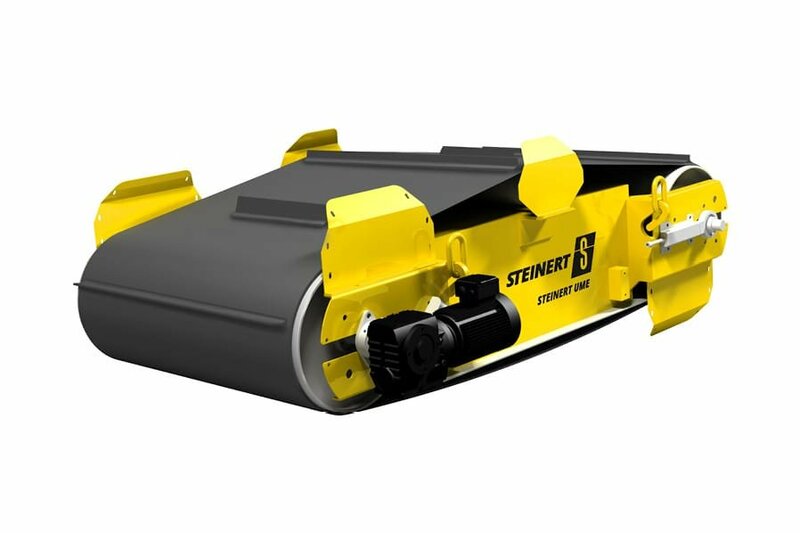 Additionally, STEINERT's semi-mobile series enables you to operate your ore sorting plant independently of location. You can of course use them as stand-alone units, or alternatively, combine them with others to form a robust, large-scale system. 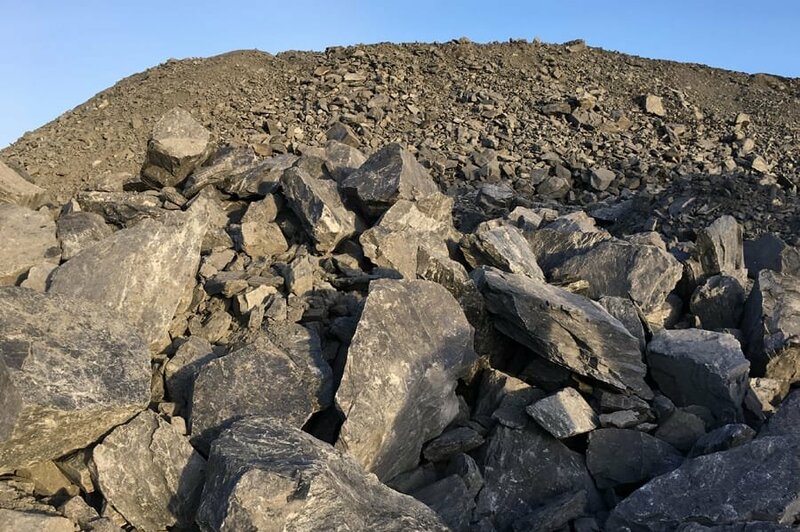 They are perfectly suited to landfill reclamation, the removal or restructuring of spoil heaps and many other special tasks. 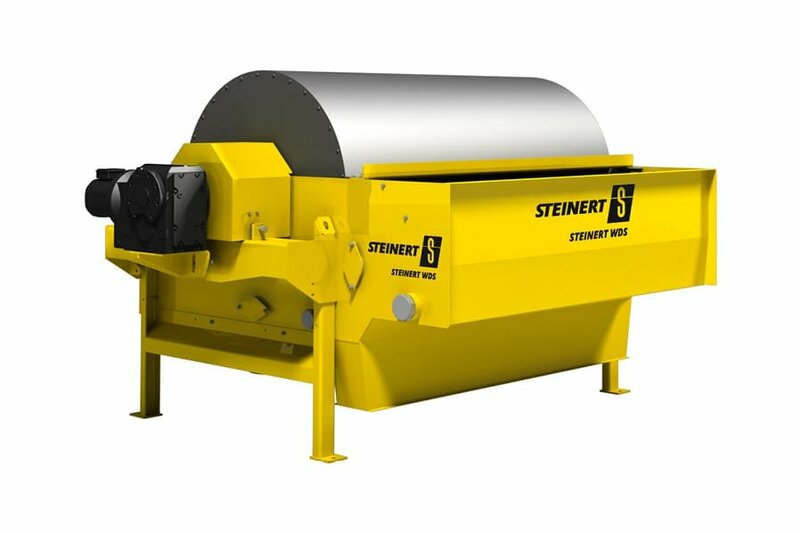 Four STEINERT KSS LXT sorting machines, each with a working width of 2 metres, were used to recover zinc, lead and silver ore residues from tailings. 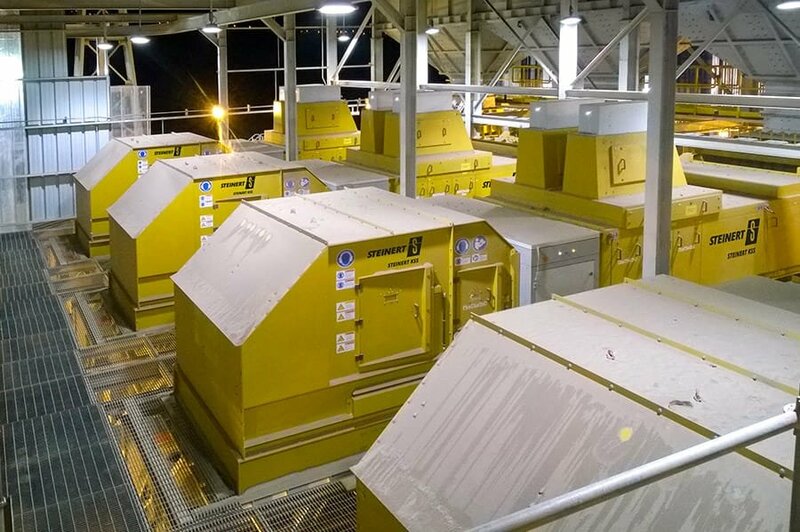 Material between 12 and 35 mm with very low ore concentrations could be converted by the sorting process into a product with substantially greater concentrations that could then be viably processed. Studies have demonstrated that sorting is the only possibility for viably exploiting the heaps profitably. 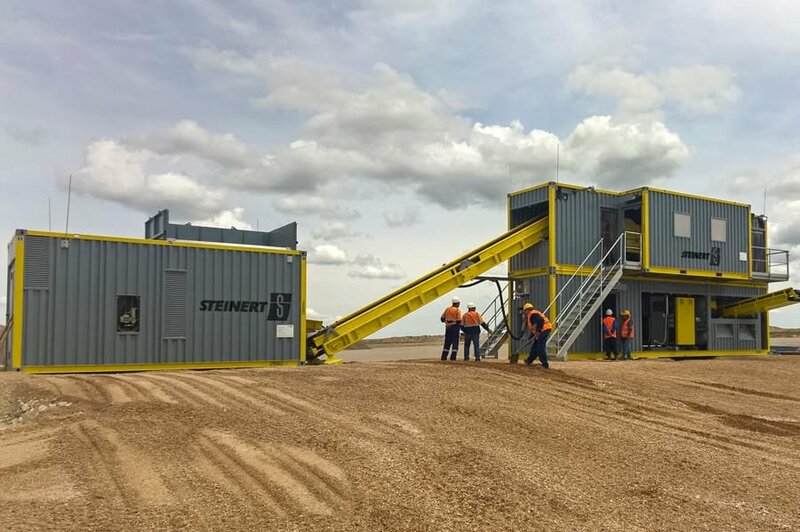 The mobile plant consists of two standard 40-foot and two 20-foot containers with all the necessary equipment, including power generation, conveyor belts, compressor, feed hopper and control cabin. This method reduces long transport journeys because the system can always be moved to the current material extraction site. It separates dolomite from phosphate so as to create a product with a MgO content of less than 1.7%.